He is 40 cm. / 16" tall. Fully jointed, stuffed with wood shavings, with glass eyes . 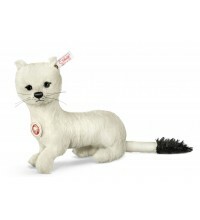 This Steiff animal will be made for 2013. He is 23 cm. / 9.2" tall. Head jointed, stuffed with synthetic filling, with safety eyes. She is 34 cm. / 13.6" tall. 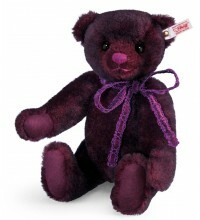 Fully jointed, stuffed with synthetic filling; with safety eyes and lace bow. Made out of white alpaca. 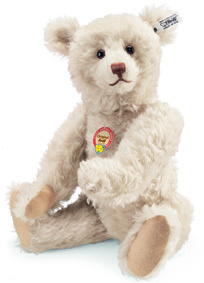 Fully jointed, stuffed with synthetic filling and with safety eyes. Made out of brown Jaquard material. 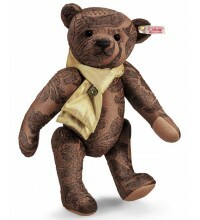 Fully jointed, stuffed with synthetic filling; with safety eyes and silk scarf. Made out of dark brown mohair. 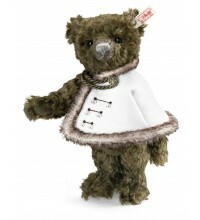 Fully jointed, stuffed with synthetic filling, with safety eyes and cape. 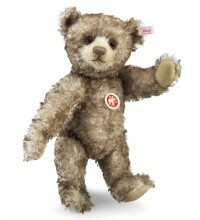 This Steiff bear will be made for 20tipped beige mohair. Fully jointed, stuffed with synthetic filling; with safety eyes and growler. 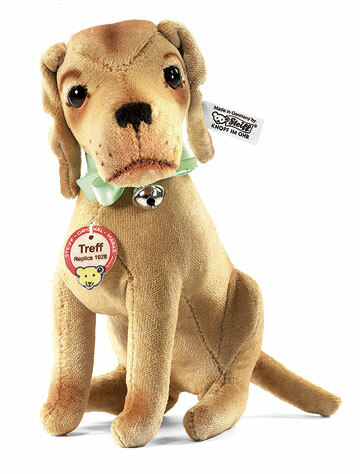 This Steiff dog will be made for 2013. Treff Replica is made out of light brown velveteen. With button out of patinated steel. Limited to 1.000 pieces world wide. Nando is made out of russet tipped mohair. With compass around his neck. Successor of Dante and Monty. Limited to 1.500 pieces world wide. 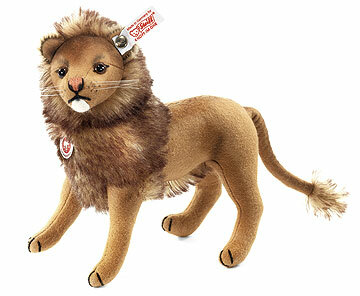 This Steiff lion will be made for 2013. 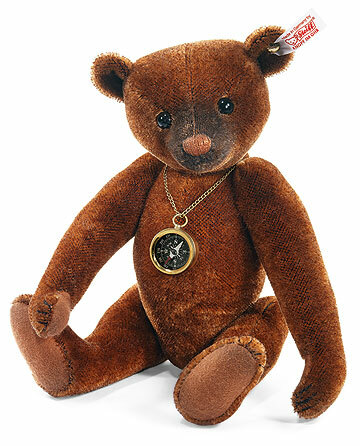 Leo is made out of light brown wool felt and brown tipped mohair. Head jointed, stuffed with synthetic filling and with safety eyes. With wire in paws for posing.